Does Madison, Wisc. Have Too Many Nonprofits? This may be the newest front to open up in municipal governments’ efforts to tax nonprofit property owners: the charge that there are too many nonprofits in town. Chris Rickert, a columnist for the Wisconsin State Journal, implies just that in his commentary about the legislation filed by two state legislators, State Sen. Fred Risser and State Rep. Chris Taylor, both Democrats from Madison, to exempt the Bartell Theatre from local property taxes. Rickert then notes a couple of other properties that have won tax exemptions under a 2009 state law, including a residential facility owned by the Presbyterian Church that “essentially functions like any secular apartment building” and a senior living complex that he describes as “tony.” He expresses concern that other entities, such as fraternities and sororities associated with the University of Wisconsin, might seek and get property tax exemptions. He then conflates his concern about tax-exempt property owners with problems the city has had with tax challenges from commercial property owners such as Walgreens. Leaving aside the problems the city has reportedly had with its calculation of tax bills, are Rickert and Soglin concerned about the Bartell Theatre bill as a precedent or as an expansion of the 2009 law? We checked. 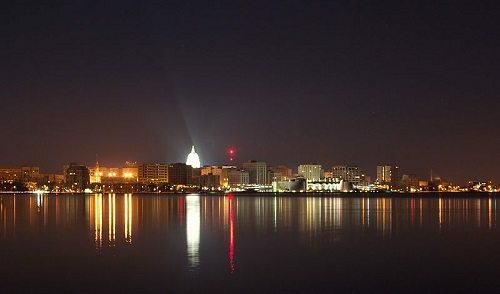 In 2009, the state enacted Wisconsin Act 28, which created a “specific property tax exemption for property owned by a nonprofit that is a benevolent association and used as low-income housing.” The full text of the state’s listing of categories of properties exempt from local property taxes is long, but in most instances, it appears that the nonprofit owner’s property tax exemption must be matched with the use of the property for nonprofit purposes.